The syringes, scissors etc. used that are used by doctors’ in hospitals are kept in hot water. Many bacteria and virus are present in and around us in the air. Harmful bacteria can be present on the syringes and other surgical devices. If they are used on the patient, he may get other diseases. So it is necessary to kill the bacteria that are present on this equipment. Easy way to do this is to keep them in hot water. Hot water kills the bacteria. That is the reason why surgical devices are kept in boiling water in hospitals. The temperature of the water can be up to 100o Celsius. These can be heated in a pressure cooker like container. This is called Autoclave. 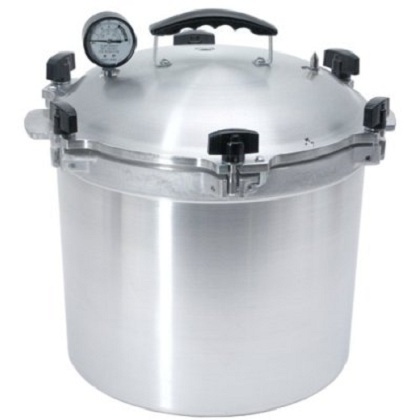 More pressure is present in the Autoclave and so the surgical devices get a temperature up to 150o. These sterilized devices are much safer to use on patients. Wow- this article is totally contrary to anything I’ve been taught about proper sterilization. Note: the instruments should not be left soaking in water. At the end of any sterilization cycle the instruments should be dried (in the sterilizer) and stored in an appropriate way. The article above suggests 150 degrees F is sufficient to kill bacteria. I would have to disagree. To the best of my knowledge Hep C is not killed at that temp. Any facility sterilizing with the methods in this article put you at risk.